Acclaimed novel, solid casting, safe pair of hands behind the camera. Looks decent, if not necessarily thrill-a-minute. Ronan is mesmerising and it’s a story worth telling, but where’s the passion? There’s a basic emotional truth about the material which stays with you. On screen she’s been a vampire, a dead girl, a trained teenage killer, and possessed by an alien being. So is there anything normal about Saoirse Ronan? Right from the moment we first saw her at age 13 in Atonement as the worryingly precocious younger sister at the big house, she’s always seemed someone set apart, which makes playing an ordinary Irish village girl in this adaptation of Colm Tóibín’s noted novel the sort of challenge which might just set the agenda for the rest of her career. At first there’s almost something shocking about seeing her character, Eilis, behind the counter in an Enniscorthy grocery store, but such is the moribund nature of life in early 1950s Ireland – all boiled potatoes and Arran knitwear – we know she’s bound for better things. That title is a bit of a giveaway, after all. The point of the story though – and it’s one worth making – is that while a new start in America brings expanded horizons, the whole journey’s not without a keening sense of loss. Ronan absolutely nails the steely sense of self-preservation which makes Eilis certain she has to go, yet her effortlessly layered performance wraps it inside the unaffected homeyness of a sheltered country girl who’ll desperately miss her mum and sister when she leaves. 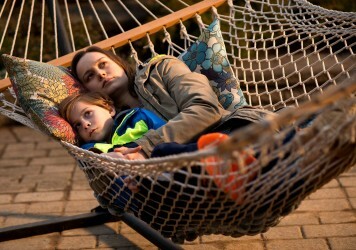 That undertow of sadness, perhaps even guilt at being selfish enough to make the big move, keeps the rest of the movie emotionally grounded, as Ronan convinces us she’s growing up before our very eyes. 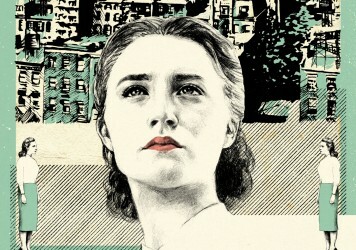 With her new life circumscribed by a kindly priest and mother-hen landlady – Jim Broadbent and Julie Walters respectively providing awards-season pedigree – Brooklyn itself turns out to be something of an Irish colony, but night-classes and the romantic attentions of Emory Cohen’s hard-working Italian-American plumber, spark an appreciably developing self-confidence. Indeed, when challenging circumstances land Eilis on the boat back to the old country, she returns to her small town a changed woman, walking the streets with a newly defined sense of self-worth which captures the attention of blazer-wearing Domhnall Gleeson, the sort of catch who’d once have been way out of her pay grade. It’s heartening to see, and if the film’s astute enough to ensure that both suitors are nice enough in their own way, Ronan’s so much smarter than the men in her life, and there’s no grand passion here. You could read that as a statement about the historic limitations on women’s ability to shape their own lives, yet Michael Brook’s insistent score ill-advisedly keeps trying to fan flames of feeling which just aren’t present. Meanwhile, director John Crowley, a canny observer of fine performances, brings little formal thrust when Ronan’s not on screen, and does seem to be struggling to convey period authenticity on an over-stretched budget. 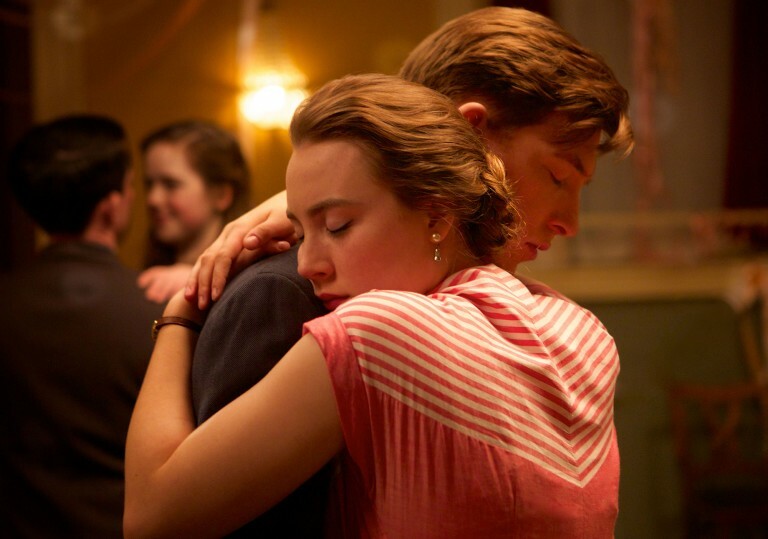 We’re never really transported to early ’50s Brooklyn, but Ronan’s ever-fascinating gaze takes us emotionally where the story needs to go. She is though, pretty much the whole show.